Robbins Pathological Basis of Disease is one of the best-selling medical textbooks of all time. Through 6 editions, it has become the one text that nearly all medical students purchase, and is widely used by practicing pathologists and physicians worldwide. 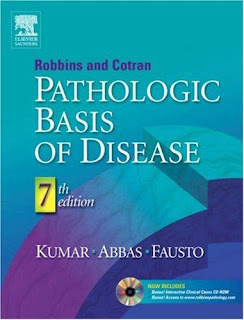 The New Edition of this venerable textbook has been renamed Robbins and Cotran Pathological Basis of Disease in honor of the late Ramzi Cotran, MD, whose editorial leadership contributed to the high quality of the last several editions. It features a brand-new editorial team...metiupdates to reflect all of the latest advances...many new and revised illustrations...and a bonus CD-ROM containing interactive case studies.